Every vehicle we sell over the price of £1,000, carries a comprehensive Parts and Labour warranty, unless stated otherwise. 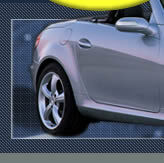 This is an insurance backed Warranty enabling our customers to go to any qualified repairer. Ideal if you are miles away from home and and need help in a breakdown. NB: PLEASE CHECK THE POLICY OF YOUR CHOICE FOR FULL DETAILS. Claims can be dealt with directly by contacting the warranty company or by phoning us and letting us deal with the problem. Part of our commitment to you is the use of a free courtesy car should you breakdown and we are asked to handle the repair. (subject to availability). Quite simply when you buy a vehicle you want reliability. We can't guarantee your vehicle will never go wrong but we will do our best to put it right if it does. The warranty covers most eventualities and goes a long way to softening major financial outlay. Please see your Proposal Form for details of the maximum amounts that may be paid for each and any claim. These may be subject to lower limits as stated on these pages. All limits include VAT. There is no restriction to the number of claims you can make. This policy covers all mechanical and electrical parts (including labour to fit them), of the insured vehicle against mechanical breakdown as defined below. Mechanical breakdown is the failure of a component, causing a sudden stoppage of its function, for a reason other than wear and tear, normal deterioration or negligence. Damage caused by the effect of overheating is not regarded as a mechanical breakdown under the terms of the policy. You are covered only for the parts described in this booklet. You are covered up to the limits shown on the Proposal Form. Your policy does not cover more than the manufacturers list price. Auto Protect (MBI) Limited may insist that your repairer used exchanged or reconditioned parts to effect repair. If the part to be replaced has some wear or the part improves the general condition or value of the vehicle, you may be required to pay a specified amount towards the improvement. Auto Protect (MBI) Limited cannot agree to any claim without providing a claims authority number. The repairer must not start any repairs without this number. Please quote your claims authority number each time you contact Auto Protect (MBI) Limited about your claim and make sure the repairer includes this number on their invoice. Crankshaft front seal, camshaft oil seal, auxiliary shaft oil seal, gearbox rear seal, drive shaft(s) seals, differential pinion seal and any oil seal or gasket where removal of the engine, gearbox or differential /drive unit is essential in order to effect repair. if any of the covered parts fail and this damages the casings, they will also be covered. Oils, oil filter and anti-freeze are covered only if it is essential to replace them because of the failure of a part which is covered under this policy. Cracked cylinder heads and/or failure to valves as a result of carbon build-up. Body, paint, glass, interior/exterior trim, in-car entertainment/communication systems and connected equipment, catalytic converters, wheels, airbag and system, electrical wiring and wiring looms. Normal wear and tear/service items and other components subject to routine maintenance or periodic repair or replacement such as plugs, HT leads, brake frictional material, clutch facings, wiper blades/rubbers, V belts, hoses, light bulbs/units, tyres, batteries, exhaust systems (this is not a complete list). The extra benefits listed below will be provided subject to the limits specified in the Proposal Form if any of the parts covered under the Mechanical Breakdown insurance policy fails and you are stranded with your vehicle. Auto Protect will pay up to £30 a day (including VAT) for up to seven days, towards the cost of a replacement vehicle if your vehicle is being repaired under this policy and prior authority has been given by Auto Protect's Claims Department. 1. You cannot have a replacement vehicle for the first 24hours that you are without your vehicle or during any delay the repairer may have waiting for parts or commencing repairs. 2. You will have to pay for fuel and insurance for the replacement vehicle. 3. You will have to pay for any motoring fines and congestion charges. Auto Protect will pay up to £100 (including VAT) towards the cost of towing the vehicle to the nearest repairer if the vehicle breaks down. You should ensure that your repairer obtains an authority number that covers the recovery, and that the invoice of the person who recovered your vehicle or the repairer's invoice is addressed to Auto Protect (MBI) Limited. Auto Protect will pay up to £60 towards hotel expenses or a return rail ticket if the vehicle breaks down and you are unable to return home. You will need to send Auto Protect a receipt. You cannot claim for the cost of meals and drinks. You can only qualify for overnight accommodation and rails fares if your vehicle is being repaired under this policy and prior authority has been given by Auto Protect's Claims Department. The policy is valid for up to 60 day per annum (pro-rata) for driving in the Republic of Ireland and mainland Europe. Auto Protect will not pay more than the equivalent UK cost for parts and labour. NB These benefits will not be provided if the failure is not covered by this policy. Payments will be limited to those levels outlined in this policy.